BASF’s Masterlife WP 799 admixture has been used to keep foundations watertight as part of a £1bn transformation scheme in Cambridge. 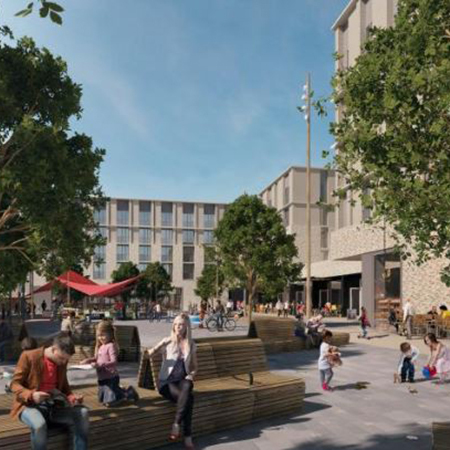 The North West Cambridge Development is a new district of homes, shops and schools on the city’s outlying farmland, it will be the largest capital project in the history of the University of Cambridge. The first completed development of the scheme was The Eddington site. It involved the construction of 325 post-graduate student rooms, housed in apartment blocks. BASF’s MasterLife WP 799 admixture was used to protect the concrete, supplied by Aggregate Industries. The high-performance waterproofing system is used for wet-cast concrete incorporating waterproofing and superplasticizing components.